When Fatal Frame 4: Mask of the Lunar Eclipse was first announced at the Tokyo Game Show 2007, horror fans rejoiced. When the E3 gaming expo came the following year with Fatal Frame 4 conspicuously absent, they got worried. And when Nintendo finally announced that the title would not be leaving Japanese shores, they despaired. Some ranted, some raved, and some petitioned. But what could they really do other than wait and hope? Four years later, they're still waiting. —Or rather they would be if it weren't for a dedicated group of fans that set about localizing the game themselves. Last week, project lead Colin "Tempus" Noga, and patch programmer Aaron "AerialX" Lindsay told Kotaku the story behind their fan-localization of Fatal Frame 4. "I started the project because my girlfriend was sad the game wasn't coming over." And that was all it took for a Creative Writing and Philosophy major with no programming experience to begin the most ambitious fan-translation project to date. "I opened things in a hex editor and started unraveling the file formats like a logic puzzle," Colin continued. At first he was stumbling in the dark—but still eager to share what he found. Colin posted his preliminary results and attracted the attention of Yoshiya "Chabi" Mori, a Neurology student in Osaka, Japan. Working together the two managed to decipher where the game script was stored and, moreover, how to extract it. While Yoshiya was the first to join Colin's team, he certainly wouldn't be the last. When the two began posting their progress on Beyond the Camera Lens, a Fatal Frame fansite, they attracted another coder named Clayton "Mr. Mongoose" Ramsey, who created a streamlined extractor/inserter for modifying the game's script. After extracting it from the game, they posted the Japanese script as an open translation that anyone could work on. It didn't work out quite as expected. "Eventually, we had to close the open translation due to too many people just pulling Google translations into it." Colin lamented. "If you're not aware, Google translations are really horrible." Soon Yoshiya and Colin found themselves doing copy editing in addition to their programming duties. The text was voluminous—more than most novels. And it wasn't just the sheer amount of words they were forced to deal with, but odd jargon and weird sentence fragments. Even then, programming technicalities, like getting the English text to fit the text boxes, proved troublesome. thinner and taller you make the font, the easier it is to fit everything. So you try to strike a good balance between sizing it and readability." About six months into the project the initial translation was complete—save for archaic Japanese bits being worked on by a Japanese Classical Literature major at Osaka University. It was at that point that Colin and his team reached their first major crossroads: The issue of piracy. After examining the game's code using a USB gecko (a hardware device that lets you look at memory during game runtime) Colin discovered that it was possible to patch an original copy of the game instead of being forced to make patched, pirated ISO file. "The whole point of a translation patch is to play the fantastic game the developers created," Colin told me. "So you want to support them if you can, and respect them. I thought that pulling off a translation like that could bring translations and the game hacking scene in general way above board. Make them a little less shady and a little more of an homage." The decision was made, the course set, but how were they to make it come about? It was at this point that Colin's now business partner, Aaron Lindsay, entered the story. Unlike Colin, Aaron had a long history of coding experience and knew more than a little about the Wii's internal workings. Moreover, he had just the thing that Colin was looking for. Months before, Aaron had started work on a dynamic Wii game patch system so that it would be possible to inject custom songs into Guitar Hero 3 without having to make an entire 4GB ISO file, burn it to a DVD, and run it with a homebrew backup loader. He'd gotten a proof of concept version running, but had lost interest in the project shortly thereafter. "I was actually mean at first, I just kinda dumped the prototype on [Colin] and wasn't that interested in continuing its development," Aaron told me. "It wasn't until a month or two after that I saw him talking about it again and decided to bring it to completion, turning it into a proper Wii game patching platform." Within two months, the patch system itself was good to go and able to replace files at will. Fatal Frame 4 proved to be quite the stress test for the new system. In the end, that patch replaced 1352 files to get Fatal Frame 4 up and running in English, but that wasn't the end of the newly dubbed "Riivolution" patching system. The first working version was released with the Fatal Frame 4 patch, but it wasn't until a few months later was ready for use with any game. Aaron was happy to give some examples. "These days it's primarily used for Super Smash Bros. Brawl level/texture hacks and New Super Mario Bros. levels. Oh, and Mario Kart stages too." The launch itself went off largely without problems. To date the patch has been downloaded over 30,000 times and has been fully translated into Spanish—with German and French translations at least 50% complete. But how did they feel about the fact that, despite their attempts to keep piracy out of the equation, there are now several ISOs floating around with the game prepatched? "It was inevitable, really," Colin answered. "The pirates messed up the ISO anyway. It has numerous issues which are not present in the original translation." "That's the most unfortunate part, really." Aaron was quick to add. "That the quality of the pirated copy reflected poorly on the project for some people." 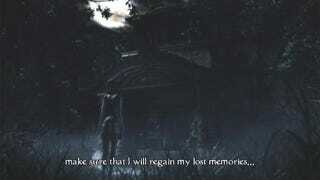 But what has happened to Colin and Aaron in the years since they released Fatal Frame 4: Mask of the Lunar Eclipse? Quite a lot actually. The two have since started their own mobile games business called Amateur Pixels. They've released two games so far and have three more—a Patapon style game, a strategy/management game, and a music timing game similar to Bemania—in the pipeline. "Overall, it was a great learning experience for me." Aaron said summing up his thoughts about working on Fatal Frame 4. "It gave me the incentive I'd needed to produce a quality game patching platform, and I learned a lot about the inner workings of the Wii firmware while doing so." Colin simply added, "It was fun." Fatal Frame 4: Mask of the Lunar Eclipse was released on July 31, 2008 in Japan. The patch was released on January 17, 2010 and can be found at FatalFrame4.net.